Sometimes, it’s really confusing to know what all the different letters behind the names actually mean. So to help you understand the difference, the following is provided in the hopes that you don’t go through the same learning curve we had to. But in reality, unless you are going to begin breeding your shepherds and are truly dedicated to improving the breed as we are, this doesn’t matter. They are ALL wonderful dogs and the German Shepherd breed is in our opinion, one of the absolute best dog breeds on the planet. This information is provided so you can see what the parents of the puppies we sell have accomplished, and the quality of our dogs we use for breeding. Feel free to contact us if you have any questions. The Schutzhund competition is used to test the dog in three important areas of training. Tracking, Obedience, and Protection. This is the beginning level of Schutzhund. Tracking is a series of articles laid down by the handler without the dog watching. The dog must come onto the field and when given a command find each article hidden from view and either lay down beside it or return it to the dog handler. Obedience is a series of commands including the typical come, heel, sit, down and stay. All commands can only be given one time by the handler and must be performed both on and off leash. There is also a series of retrieval over jumps with weighted dumbbells the dog must perform. The Obedience is very regimented and the dog is graded on his speed and attitude when performing his commands. There are many different phases involved in the obedience routine. 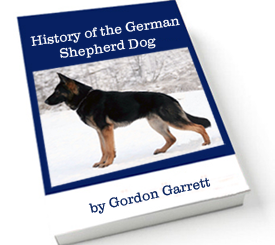 The third and final part of Schutzhund is protection. The Protection is very intense. A dog must show a high fighting drive and courage on the protection field. Reluctant dogs are automatically disqualified and removed from the field. The protection routine includes escorting the “bad guy”, biting firmly with the entire mouth and holding the bite until told to release by his handler, regardless of the struggle of the decoy (decoy is the person receiving the bite). The dog must also perform a search where he runs around “blinds” set up for the decoy to hide behind. When the decoy is found the dog must bark and not bite unless the decoy moves then the dog must bite and hold. There are several other commands the dog must follow in protection. The minimum score considered acceptable is 70 out of 100 in Tracking and Obedience. The minimum score for Protection is 70. The Schutzhund II is the intermediate level of Schutzhund. It is equal to a master’s degree from a University. The dog must perform all the requirements of the Schutzhund I with more difficulty. Including longer, older tracks, more restrictive obedience across a longer distance with several distractions and tougher protection requirements. A dog can have a good day and become a Schutzhund I, but has to always be good to achieve a Schutzhund II. Schutzhund II requires considerable skills on the part of the dog as well as the handler. The Schutzhund III is the masters level of Schutzhund. Everything competed on in the Schutzhund I and Schutzhund II are tested and are three times as difficult in the Schutzhund III. The dog is required to show steady nerves in protection and is graded with little margin for error on his skills. The Obedience is strict with absolute attention to the handler and control. Tracking is across many different surfaces including gravel, dirt, grass, and concrete. The tracks are laid by a stranger unknown to the dog. Many dogs can compete but few will pass and achieve the title of Schutzhund III. Excellent Select. This is a title that is only awarded at the Annual Sieger Show and is the absolute highest rating that is achievable. It is a relatively rare title since it is only given once a year. The Vorzulich rating is the top rating any dog can achieve outside of the Sieger show. They must be at least two years old to compete. Vorzulich means “EXCELLENT”. The V-rated dog shows the top of his breeding. It is usually given to the younger dog who shows good confidence,and conformation as well as calmness. The Sehr Gut rating or “Very Good” is the highest a dog can receive in the Jungendklasse (12-18 months) and the highest in the Junghundklasse (18-24 months). The SG dog shows great promise in conformation, general appearance, and good character. The Gut rating or “Good” is a title a dog can receive in the Jungendklasse (12-18 months) and in the Junghundklasse (18-24 months). The G rated dog shows great promise in conformation, general appearance, and good character as well. This is a Temperament Title that is used by European breeders to evaluate conformation and temperament of German Shepherds. The dogs are measured in both height and weight. Measurements are taken from tip of the tail to chest depth and must meet an International standard. The dogs have to be of good nature and be easily approachable. They must not be spooky or shy, and they cannot act viciously or aggressively toward the judges. The Koerklasse I is the highest temperament title a dog can achieve and is sought after by the finest breeders worldwide. The Koerklasse II title is the second highest temperament title acceptable in Europe. Dogs achieving the Koerklasse II title are often slightly larger or shorter than the desired standard but the difference is in centimeters. This title is given on a pass or fail basis. It is used to judge a dogs nerves and confidence in heavy traffic situations. The dog is tested on busy streets and around large groups of people to check them for any signs of shyness or incompetence. This title must be achieved before any German Shepherd can proceed to Schutzhund competition. The dog must run at a steady trot for a determined amount of time. This title tests for any physical defects the dog may have. The dog is required to run a total of twelve miles. The handler rides a bicycle and the dog must trot beside the bicycle for four miles at a time. They are to perform obedience at check points in front of designated judges and then rest. After a short rest the dog must once again repeat the above four mile run until he reaches a total of twelve miles with no more than three stops in between. This is also a pass or fail test. There are many videos and varying definitions of what “Civil” mean when describing German Shepherds. This is an important definition to understand since it is counter intuitive to what one would think “civil” meant. Defined, “Civil Drive” is the ability of a dog to focus on, and engage another individual (a decoy or assailant) without active agitation or stimulation from the decoy/assailant. In other words, the dog will engage in a fight without enticement or provocation. Some describe it as “stick and/or sleeve and/or whip aggression”, aggressive movement, gunfire or vocal challenge response by the dog. It is important to remember that “civil” indicates that the dog will engage a person (not just a decoy) for real, without any equipment being present. The dog will engage a person with serious aggression, either on command towards a passive person or naturally upon a threatening subject. The civil dog engages with true aggression and will not be deterred even in the face of a strong serious threat when avenues of escape are present. If equipment is present, a civil dog will ignore the equipment and bite whatever is available, ie, engaging the closer leg over a sleeve, or biting the chest instead of a sleeve, if the chest is presented. In other words, a civil dog will react to a perceived threat or challenge from a person with natural aggression, with no stimulation or equipment necessary. It is a very good trait for dogs to have if you want a protection dog. Sometimes, it’s also described as “hardness”.